At Owyhee Family Dental we feel privileged to work with a team of professionals dedicated to provide more than just excellence in dental care, but who treat each person who enters our office like family. Meet our team by clicking on their names below. Michelle grew up in Nampa, Idaho, graduating from Vallivue High School. 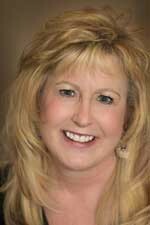 She attended Idaho State University in Pocatello and graduated with a Bachelor degree in Dental Hygiene in 1991. Michelle married Dr. Jeppe in 1988 and has served as a dental hygienist at Owyhee Family Dentistry since her graduation from ISU. Michelle and Dr. Jeppe are the parents to two sons, Cole and Reed. After one year at BSU Cole is preparing to attend a Power Sports program this Fall at CWI. Reed is a student at Idaho State University’s Pre-Pharmacy program. He is also a member of the ISU track team. Dr. Jeppe also has 4 children from a previous marriage – Janine, Guy, Garrett and Ben. Together they are the grandparents of 8 grandchildren – 2 girls and 6 boys. When not serving her patients at Owyhee Family Dental Michelle loves scrapbooking, reading and making jewelry. As a family they love golfing and recently purchased pontoon boats that they regularly use to fish the Snake River. Michelle has the unique ability to make all those she comes in contact with, whether at home, in the community or in the office, instantly feel comfortable and at home. When you come to Owyhee Family Dental you really are part of the family. 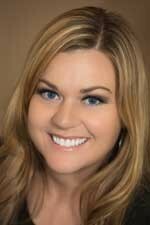 Shanell is not only a wonderful hygienist for our patients she is also a busy mother of six – make that seven. She and her husband, Darren, a parts manager at Parma Company, are the parents of Kyler, McKenna, Kiera, Konner, Kinley, Kaylene, and the newest member of the Wrigley team, McKell, born in the Fall of 2014. 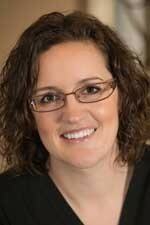 Shanell first started in dentistry as a dental assistant, about the time she and Darren married, in 1998. She decided to further her career in 2004 and went back to school in 2004, completing her associates degree in Dental Hygiene. 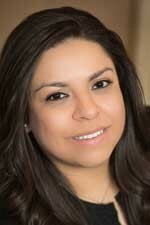 Shortly after receiving her degree Shanell joined us at Owyhee Family Dental in 2007. As you can imagine, when she’s not polishing beautiful smiles Shanell tries keeping up with and directing her busy family in their school and sports activities. Together they enjoy camping and a variety of outdoor activities. Elsa grew up in Wilder, attending school and graduating from high school in 2002. While in high school Elsa attended a job fair and visited with a representative from the American Institute of Health Technology (AIHT). At first she wanted to enroll in their Medical Assisting program but when she visited the campus she saw their dental program and training clinic and it just seemed more interesting. She enrolled in the program and received her dental assisting and expanded functions diploma in 2003. She has never regretted her decision and loves the wonderful people she gets to serve each day. While attending AIHT Elsa interned with Dr. Jeppe. After receiving her diploma Dr. Jeppe asked her to permanently join the Owyhee Family Dental team and she has been here ever since. Elsa is bilingual which helps in serving our Spanish-speaking patients. Elsa married her husband, Jerardo, in 2008. They are the parents of a son born in 2013. In her time away from the office she loves reading. But mostly she loves spending time with her husband and their son. Michelle is a Parma resident and enjoys special family time, especially time that takes them outdoors. A fairly new member of the Owyhee Family Dental team, joining us in the Spring of 2014, Michelle received her dental assisting training at Carrington College in Boise. She absolutely loves being a member of the Owyhee Dental team and loves the people she is blessed to work with.